Friday, February 27th, at 4:00 PM Eastern Time. To join the call dial 951-797-1058 and enter passcode 147414. Israeli Prime Minister Benjamin Netanyahu will come to Congress next Tuesday to try to mobilize it against the Obama administration’s efforts to reach a deal with Iran. This week, he described Congress as the “last stop” before a deal that he deems catastrophic for Israel. But will Congress come to Netanyahu’s help? Can Congress thwart such a deal? And what kind of a deal are President Obama and Secretary Kerry trying to secure? In what way does its chief characteristics differ from Netanyahu’s approach? To answer these questions and others, please join us for a briefing call on Friday, February 27th, at 4:00 PM Eastern Time, with two of America’s leading experts on this issue, Larry Hanauer and Joseph Cirincione. Larry Hanauer is a senior international policy analyst at the RAND Corporation, where he focuses on foreign policy and national security. Before joining Rand, Hanauer was a senior staff member of the U.S. House of Representatives' Permanent Select Committee on Intelligence (HPSCI), staff director of the Subcommittee on Terrorism, Human Intelligence, Analysis and Counterintelligence. 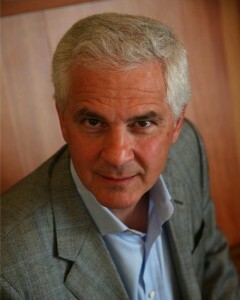 Joe Cirincione is the president of Ploughshares Fund, a global security foundation. He is the author of several books and numerous articles on nuclear non-proliferation. He is a member of Secretary of State John Kerry's International Security Advisory Board and the Council on Foreign Relations. Before joining the Ploughshares Fund, he worked for nine years in the U.S. House of Representatives on the professional staff of the Committee on Armed Services and the Committee on Government Operations. The call will take place on Friday, February 27th, at 4:00 PM Eastern Time. To join the call dial 951-797-1058 and enter passcode 147414. Then please record your name clearly. To receive a link of the recording, please email Katherine Cunningham at kcunningham@peacenow.org. 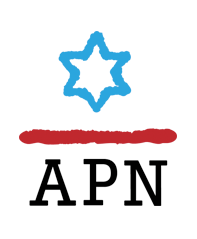 APN will send you a link to the recording of the call as soon as it is available.